First time I recall recording these 2 private railcars was in 2014 during National Train Day event at Union Station St Louis. I was given a heads-up recently the day before they were set to travel through Springfield Illinois. I think I recorded this July 8th 2017. If I remember correctly they were riding behind Amtrak Lincoln Service 306. 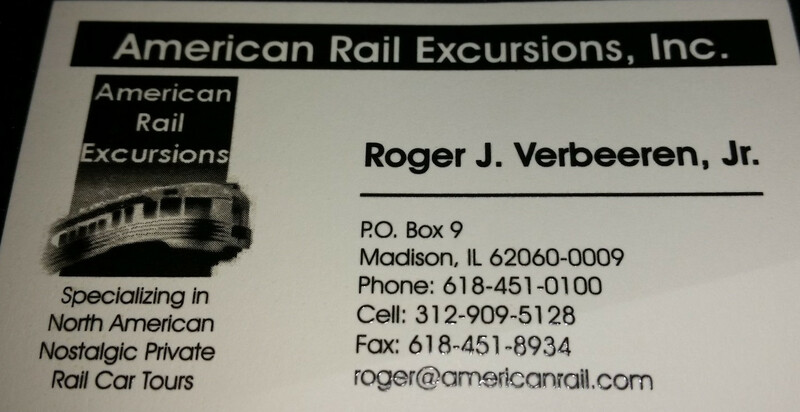 You can book trips on this Private Varnish through American Rail Excursions. Contact information is shown below.